Score Basketball is a name that has been around for over 20 years. It is the most trusted name in all of the Owasso basketball camps that are available. Why you ask? I’ll tell you why. The reason is simple. 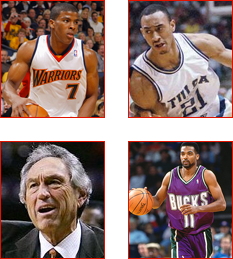 Score Basketball has been endorsed by Hall of Famer’s. That’s right, Eddie Sutton, Hall of Fame coach has put his name behind this great program. He has seen for himself the great coaching of Coach Don Calvert and he trusts that the lessons that kids learn it Score basketball will help them reach a level that they have never yet been to. The great coaching, team atmosphere, and never back down environment are all a combination that are guaranteed to improve your child’s skill level. Guaranteed? Do I really mean that they put a guarantee on there camp? Absolutely they do. The coaches at Score Basketball call it their performance guarantee. That is that if you are not completely satisfied with the improvement that your child shows after attending one of the Score Basketball camps, they will actually give you a full refund. The reason they’re so confident and that they are able to offer this money back guarantee is because over the last 20 years they have had a proven track record of success. Parents, coaches, and players from all over the area can testify to the great lessons learned at Score Basketball. Basketball team sport, not just an individual endeavor. Although some stars in the NBA seem to think that basketball is an individual sport, the coaches at Score Basketball will teach your child the true meaning of the word team. They will be a part of a cohesive unit who learns to play well and play together in order to win. But winning is not what Score Basketball is all about. Unlike other Owasso basketball camps to just focus on technique and skills, Score Basketball focuses on creating quality people and quality players. The coaches know that creating solid kids to succeed off the court will only further their success on the court as well. That is what makes Score Basketball standout. Did I mention that your child will simply have the best time of his life at this camp? They will meet friends that they will have for years to come. They will learn lessons that will last a lifetime, and their basketball skills will improve making them much more confident on the court and as part of their team. The kids who attend Score Basketball camps often times end up being the leaders on their respective teams because of the lessons that they learned at camp. They know how to motivate their teammates and how to get the best out of the people that are around them. That is what being a part of a team is really all about. And they will have a lot of fun while learning all of these lessons! Call Score Basketball at 918-955-7160 and ask them what your child can gain from attending one of these incredible basketball camps. The next time you are searching for quality Owasso basketball camps, look no further than Score Basketball the name that has been around for over two decades. They know their craft in these coaches are passionate about creating the next generation of athletes and great basketball players. Invest in your child’s success today and be confident in this camp with their money back guarantee. Your child will succeed on the court and will be a better player and a better person for having attended this camp. These coaches will push you to the limit. You may think that you have already reached your full potential, but the coaches at Score Basketball will make you think otherwise. You never really know if you have reached your full potential until you’ve been coached by a fantastic coach who knows the game and knows exactly what to do to improve your skills. There are a lot of options when considering Owasso basketball camps. But truthfully, you want the camp that has coaches with experience and who are dedicated and passionate about what they do. Score Basketball has been around for over 20 years and has everything that you are looking for in a basketball camp for your child. Basketball is a mental and physical game. You have to have basketball knowledge in addition to being athletic in order to truly succeed and be part of the team. When your child attend this camp, they will learn more about the game than they ever have known before. Not only will their footwork and shooting improved drastically, but their basketball knowledge and mindset during gameplay will also improve. The coaches are so confident about this that they actually offered 100% money back guarantee. If you’re not fully satisfied with your child’s improvement they will give you a full refund. That’s how confident they are in their coaching ability. Endorsed by Hall of Famer Eddie Sutton, Score Basketball is simply the best in Owasso basketball camps. The reason that Eddie Sutton has endorsed this great program is because he has seen firsthand the level of coaching and commitment at Score Basketball camps. The atmosphere at these camps is competitive, fun, and engaging. Every child is guaranteed to succeed no matter their current skill level. The coaches will make sure that each child gets attention and that each and every child has due time on the court with the coaching staff. They will also have a great time meeting friends and learning lifelong lessons. That brings me to my next point. Basketball is about more than just dribbling the ball and shooting a three pointer. It’s a game that teaches life lessons to young impressionable kids and help them to succeed at whatever they end up doing life. Even if your child does not pursue a career in basketball, the lessons that they learned through playing the game and playing it well stick with them for years to come. Coach Don Calvert is one of the great communicators in the coaching industry. For over 20 years he has changed the lives of young athletes all around the Oklahoma area. He is simply the best coach in any of the Owasso basketball camps. Give coach Don Calvert a call today at 918-955-7160. Ask him about the performance guarantee and how you can be totally assured that your money will be well spent at Score Basketball. Your child will improve and will have so much fun at this camp. With the training, quality coaching, and Hall of Fame endorsements, you really can’t go wrong when you send your child to Score Basketball. When you see them playing in their first game post camp, you will be glad that you sent them to receive such excellent training and coaching from the coaches at Score Basketball. Change your child’s life today and send them to the best camp in the business.